The Best Mobile SEO blogs from thousands of top Mobile blogs in our index using search and social metrics. Data will be refreshed once a week. SEW HQ About Blog Search Engine Watch provides tips and information about searching the web, analysis of the search engine industry and help to site owners trying to improve their ability to be found in search engines. Read News articles, guides, reviews and commentary about mobile marketing by SEW. Facebook fans 42,497. Twitter followers 192,102. United States About Blog Search Engine Journal is dedicated to producing the latest search news, the best guides and how-tos for the SEO and marketer community. Facebook fans 164,497. Twitter followers 164,791. About Blog Search Engine Land features daily search engine industry news & trends in search marketing. Read latest SEO tips, trends and best practices for mobile search results. Facebook fans 184,911. Twitter followers 423,116. About Blog SEOprofiler offers proven tools that help you to get high rankings on Google and other search engines. All tools follow Google's guidelines for search engine optimization. Facebook fans 853. Twitter followers 1,818. San Mateo About Blog The BrightEdge Content Performance Marketing platform helps brands Target Demand, Optimize Content, and Measure Results to win on the content battleground. Facebook fans 28,625. Twitter followers 23,478. Chicago, IL About Blog Learn Mobile Optimization from UpCity's blog posts. UpCity’s SEO software for agencies and small businesses helps businesses generate traffic through SEO, Local SEO & Social Marketing. Facebook fans 1,046. Twitter followers 6,637. About Blog At WebConfs.com, we do our best to keep our tools up to date and provide our visitors with the latest SEO tips and tricks. Facebook fans n/a. Twitter followers 4,456. Boca Raton, Florida About Blog More Visibility is a full-service, interactive marketing agency. Mobile changes everything – your website design, and the search engine page results that will lead a user to your site. Make sure your customers can find your brand via mobile search by learning mobile SEO best practices, as well as tips for making your mobile content user-friendly and conversion-focused. Facebook fans 902. Twitter followers 6,644. Denver About Blog Cindy founded MobileMoxie (formerly Rank-Mobile) in Denver, Colorado, in 2008 as a way to help companies harness the power of mobile marketing. A pioneer in the mobile marketing space, Cindy saw mobile as a powerful marketing and communication tool that had no solid guidelines and little consistency. Facebook fans 221. Twitter followers 1,521. Austin, TX About Blog With Mobilizer, by Mobile1st, see exactly what your mobile users see, quickly identify display issues, monitor metrics by device, and optimize the mobile customer experience. Read the Mobile1st blog for practical tips on mobile optimization and conversion as well as insights on the mobile marketing revolution. Facebook fans 98. Twitter followers 1,867. Hurstpierpoint, Sussex About Blog The team at Artemis Internet Marketing has been providing high quality Internet marketing solutions to clients since 2004, and has worked with many different types of companies from both large businesses with a multinational reach to local family run businesses and home-based companies and single tradespeople appealing to a very local audience. Facebook fans 860. Twitter followers 1,776. About Blog PROIDEATORS is one of the India’s leading certification training providers. We partner with companies and individuals to address their unique needs, providing training and coaching that helps working professionals achieve their career goals. Facebook fans 2,824. Twitter followers 34. 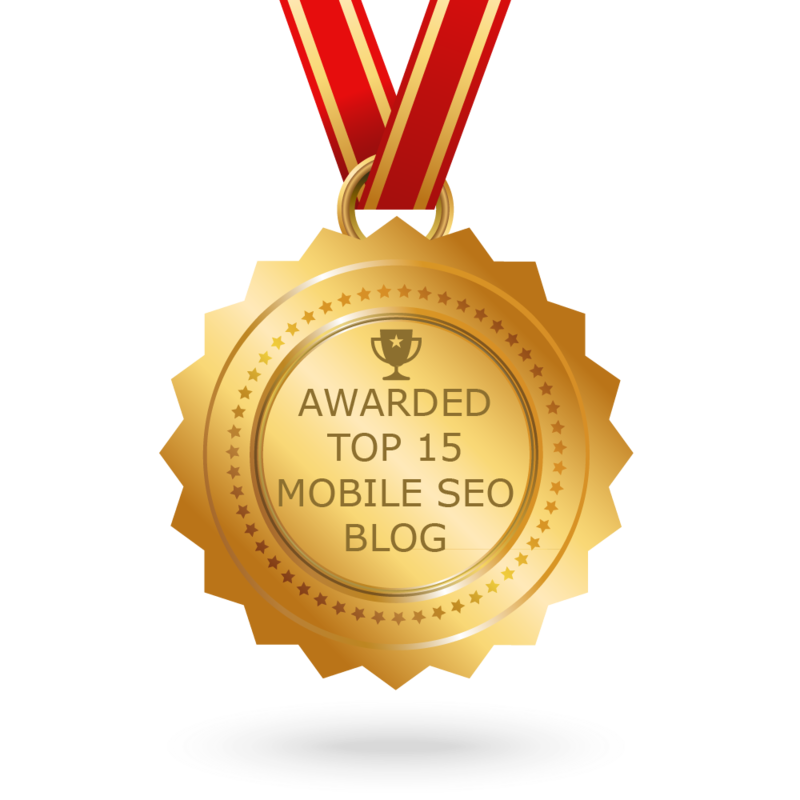 CONGRATULATIONS to every blogger that has made this Top Mobile SEO Blogs list! This is the most comprehensive list of best Mobile SEO blogs on the internet and I’m honoured to have you as part of this! I personally give you a high-five and want to thank you for your contribution to this world.